There was a definite, “this is the place to be” vibe churning. As the crowd began to filter in, the crowd was hot with expectation. Some dressed in street clothes while others broke out their favorite cosplay for the evening. The party was designed exactly for this culture. A gathering of nerds; this was home. Superhero’s, anime themes, comics, and music all blended together. With J1 at the organizational helm, the comic infused band, Stereotytans guided the evening along with the interpreter, The Oracle. The smell of progression was in the air. Hyperion slammed his guitar strings against the pickups. Kronos beat the low of end the bass. Okeanus splashed the cymbals and Prometheus summoned his inner operatic-demigod thespian. The crowd was transported to a stereo-theatrical inner-dimension. Stereotytans are a set of interdimensional beings sent to earth to summon the inner spirit of the unknown and the uncharted. As the evening continued, Sterotytans treated attendees to incredible reworkings of superhero theme songs! 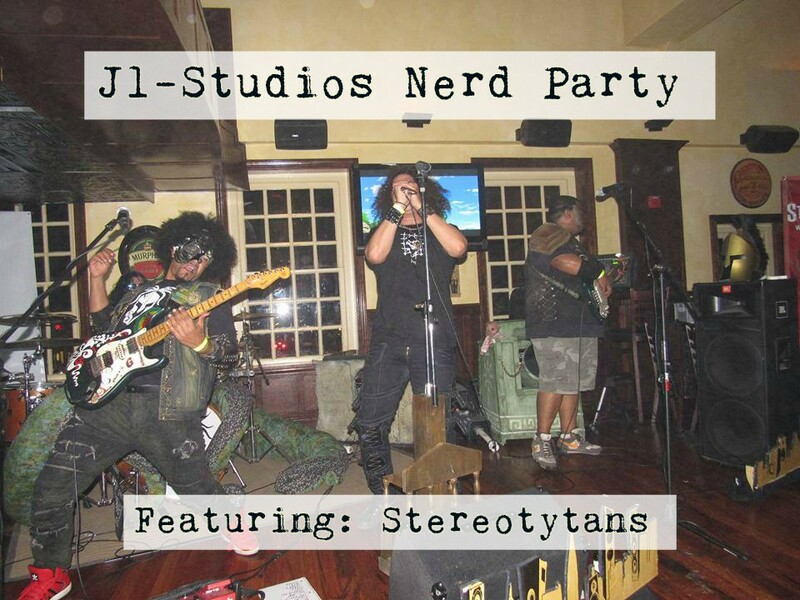 Heads nodding and fandom flowing, the J1-Studios Nerd Party was an inaugural success! This J1 Studios event was the first in a series of soon to be monthly gatherings revolving around this cultural nerd/geek/comic/anime phenomenon. Next month’s theme, “Dress to Impress”, is bound to bring in all types of upscale, high class cosplay and clientele. With talks of red carpets and paparazzi, this gathering is sure to be a radial occasion. 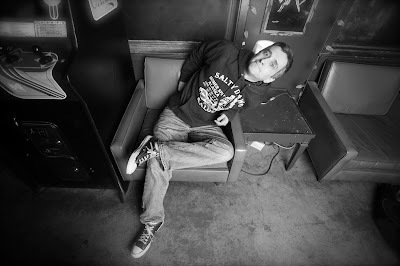 All things J1 can be found on their website, www.j1studios.com. Also find them on Facebook @j1studios, Instagram @officialj1studios, and on Twitter @J1Studios All things Stereotytans can be found on their website, www.stereotytans.com including their titular comic! Also on Facebook, Instagram, and Twitter @Stereotytans. The J1-Con: Philadelphia’s #1 Anime Convention is scheduled for August 26-27, 2017 at 820 Spring Garden Street Philadelphia, PA 19123. Registration is open NOW at www.j1con.com/registration. Rumor has is that Stereotytans will be invading this con! So, break out your best cosplay, get ready, get set, and go, go, Gadget, because con season is here!